Overcoming the Obstacles in Your ACL Recovery - Jeffrey H. Berg, M.D. Welcome to another installment of our web-based symposium about physical therapy following ACL Reconstruction. What is the most common obstacle that your patients encounter as they recover from ACL surgery? In my opinion, it would be getting back full extension of the knee. It can be uncomfortable early on to straighten the knee and it feels much better to put something under it. People also tend to let their leg roll out to the side to take it out of a straight position. It is very important however to keep it in a straight position to stretch to that position because it can be very difficult to get back later if full extension is not achieved early on. I have been fortunate to see a lot of ACL’s and the main obstacle that most people encounter is in the time where they are discharged from PT, but need to begin their own exercise program. There is often a lapse in the level of focus on the recovering knee, as there is no longer pain, and they can function normally in the day-to-day activities of life. When this happens, return to sport activities is often followed by another injury that may seem unrelated to the knee, but is actually a result of not spending enough time in the strength and conditioning to allow a return to sports. Following ACL reconstruction there are many obstacles or pit falls that can potentially be encountered. Sadly, the most common obstacle that we encounter (especially in young athletes) is limitations in insurance visits/coverage. As discussed previously, there can be significant limitations in the number of covered physical therapy visits under one’s health insurance plan. In addition, many plans require authorization/pre-approval by a third party healthcare provider based on medical necessity. Often times when young athletes require pre-approval for physical therapy they are prematurely denied additional visits secondary to what the reviewing medical professional views as lack of need or medical necessity. This typically leads to patients being discharged from physical therapy prior to reaching the return to sport phase, and in some instances even before they are cleared to resume jogging. In these instances patients or patients’ parents are left with the decision of paying for visits out of pocket or continuing progression toward goals with use of a home exercise program. 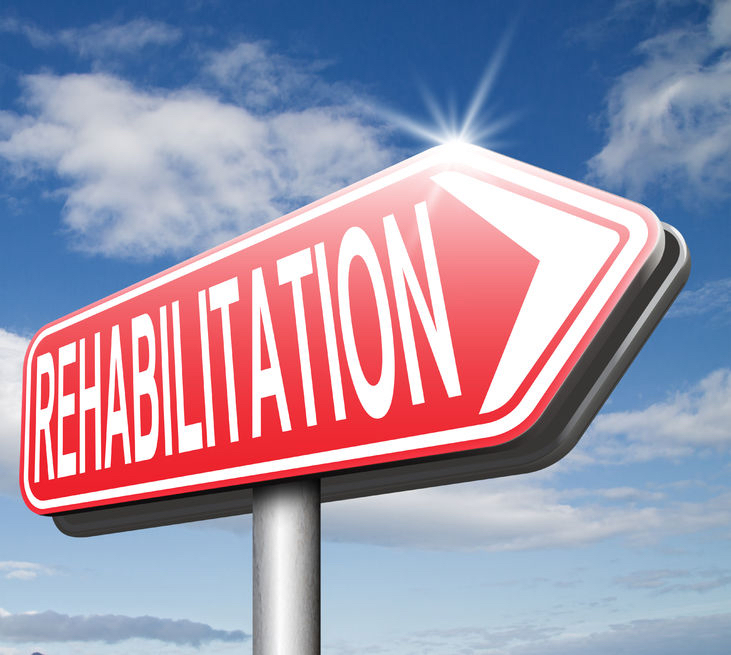 As a physical therapist it is these cases in which you have concern that a patient can safely complete their rehabilitation process independently and return the field of play with risking re-injury. The most common obstacle that I see during recovery is how mentally challenging recovery can be. It is a very long recovery and the mental challenges are often more difficult than the physical challenges. In the middle of the recovery, progress slows as there is less progress to make. This is when I will see patients become frustrated and begin to lose their desire to put the work in. I urge all patients around this time to remember both how far they have come, and what their goals for the future are. The effort that they put in at month 4 is just as important as the work they put in at month 1. The most common obstacle I face with the ACL patients now a days is insurance visit limitations not allowing enough time to make a full recovery. This has become a hassle with allowing us to provide proper care and help guide the patient to a full recovery from the surgery and returning to higher level activities. Having a good connection with either a knowledgable personal trainer, Athletic Trainer (if high school, college, or professional athlete) or a sports performance facility is crucial to make a good transition for these patients. The other obstacle most commonly faced with ACL rehab patients is the major psychological injury that occurs along with the physical injury. The most commonly injured patient with an ACL tear is an athlete, which identifies with their sport as part of their identity. When that part is taken away from them as abruptly as with an ACL tear there is a major psychological trauma that occurs with it. If not properly treated this can cause major limitations with a patient’s full recovery from an ACL tear and returning to full participation in their sport. Fear – of re-injury, of not being able to play their sport at the level they used to, of causing injury to the opposite knee. Patients must be educated in the healing process and why they are limited for certain periods of times, but not others. They must understand that even when harvesting their own structures to repair the ACL, they will still be able to strengthen their hamstrings to perform any activity they want without limitation. They must also be educated on the movements that cause injury so to be better prepared on how to avoid re-injury to the surgical site or their other knee. Once fear is conquered, all other obstacles become easy. I believe the most common obstacle is keeping patients within limitations of their graft healing. ACL reconstruction has come a long way and patients are up and moving quickly with minimal symptoms. It is tough to remember that although you feel good, there is major healing occurring and you could be at risk of re-injury if you run or pivot too soon. It is challenging to have patient using crutches to protect themselves in environments such as high school when they feel “fine.” It’s tough to tell them they cannot run when they haven’t had pain in weeks. Patients and athletes are motivated to get back to their prior level of function so patient education can be very challenging. Stay focused – It is easy to become complacent or lose sight of where you want to get to. It is easy to fall victim to your fears. Recovering from a surgery like this can not only be physically difficult, but mentally challenging as well. It is not uncommon for you to become angry, frustrated or even discouraged at times. Some may even become clinically depressed. Recognize this. Speak with your physician and therapist. Seek help if needed – But stay in the game and push yourself forward. Deal with the financial and healthcare realities – It would be great if there were endless resources to ensure that you achieved all your goals before discharge – but there isn’t. It is more likely than not, in today’s healthcare climate, that you won’t have access to as much therapy as you and your healthcare team would like. You, your therapist and surgeon must understand this and be creative. With the use of strategic PT scheduling, home exercises, handouts, on-line aids…and patience, you can achieve your goals. It may take longer than you would like for your full recovery – but that’s just today’s reality. Most who undergo ACL reconstruction are athletic and highly competitive. They yearn to return to their demanding activities and sports. The road to this outcome, however, is not always easy. There are often physical, emotional and even financial obstacles. Overcoming these and achieving your goals is possible. It just requires hard work, mental focus and an acceptance of the realities of today’s healthcare environment.